This is one of the premier canoe race weekends in New York State! 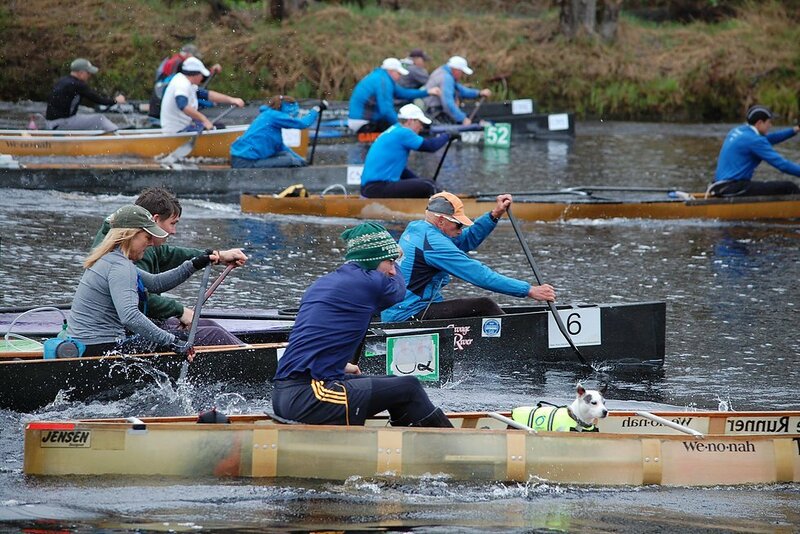 There are top-level international competitions in solo and tandem racing canoes and kayaks. The 12 and 14 mile courses are among the most challenging on the marathon race circuit. In addition, there are 1, 3, 5 and 8 mile race events appropriate for the local recreational racer, and a 2 mile team relay race for recreational paddlers. All races are on the Grasse and Little Rivers, with the start and finish at Taylor Park, Canton NY. Amenities include a children’s playground on site, race tee-shirts, FFA chicken barbeque (Sat. only), music by DJ Double Dutch, ample parking, free overnight camping and award ceremonies.